Now you can own a piece (or several pieces) of music history thanks to an Australian auction. Don’t worry if you can’t make it down under, you can bid online. While there are many wonderful photos and memorabilia available, some of the most interesting are from photographer Eve Bowen. 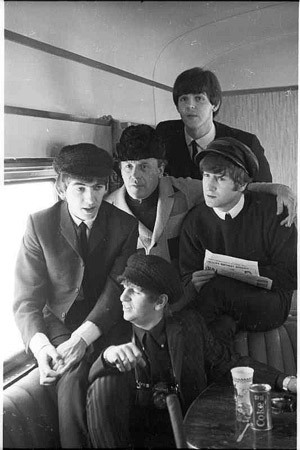 The majority of Bowen’s photos of The Beatles were taken in one session on a train trip during their first US tour in 1964. They offer a playful insight into the lives of these young men on the cusp of superstardom. The condition of the negatives are as shown in the scans below and have not been retouched. They come with a 1 of 1 edition print (done this year) to better illustrate these beautiful pieces and to show how the negatives translate. What makes this such a unique opportunity is that these come with copyright. So you the owner can use and reproduce the image(s) however you wish. Go to Invaluable.com starting May 7. It’s Australian time so mind the pesky dateline. 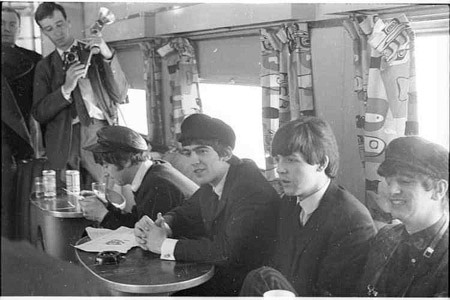 Lot 6: The Beatles on a train from New York – Washington DC during their first US visit in February 1964. Lot 9: The Beatles during a press conference on a train from New York – Washington DC during their first US visit in February 1964. 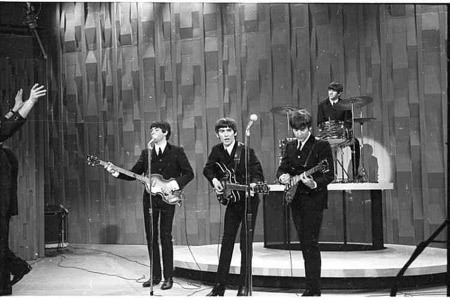 Lot 40: The Beatles performing on the Ed Sullivan Show circa 1964. The photo was taken during the dress rehearsal for the show on February 9, 1964, during which The Beatles recorded three songs for later broadcast (February 23, 1964). The photo is of them performing ‘I Want To Hold Your Hand‘. There are plenty of other amazing Beatles Memorabilia on the block as well. Go to Invaluable.com for more details.